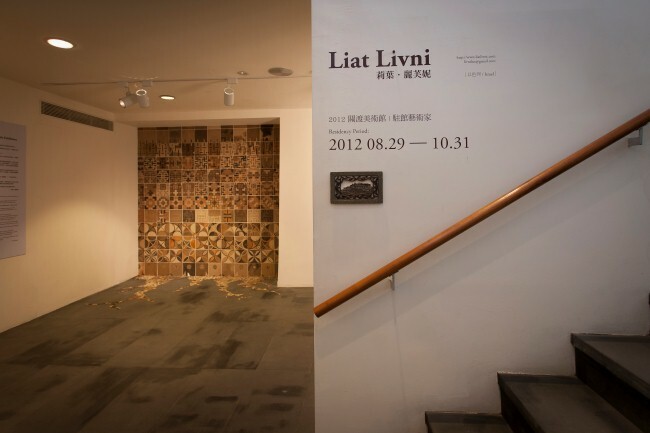 The work “Patterns of Modernity” was created in Taiwan using Taiwanese earth and sand collected from different places. 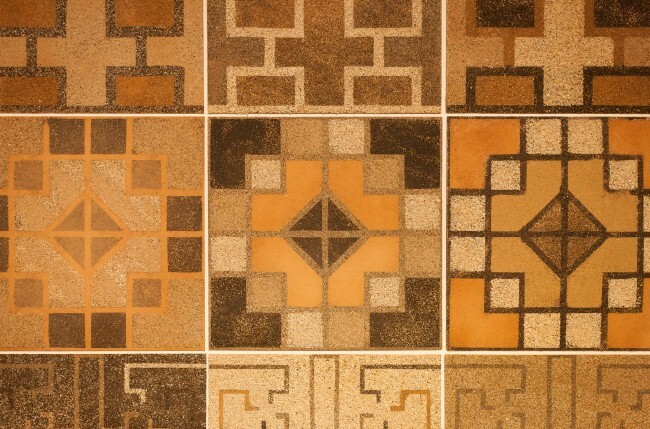 It was made thanks to the help of the Kuandu Museum’s interns and the general public. 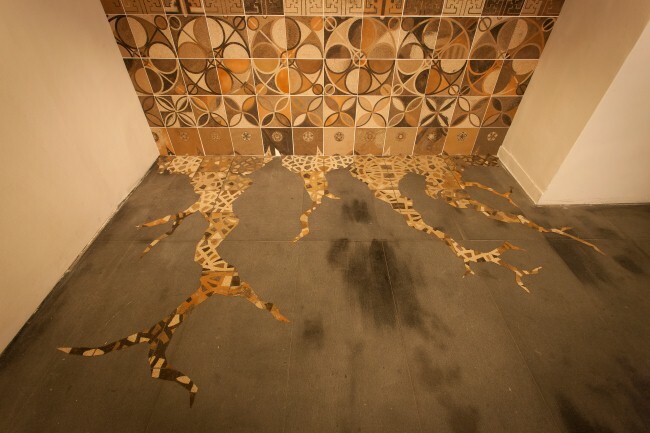 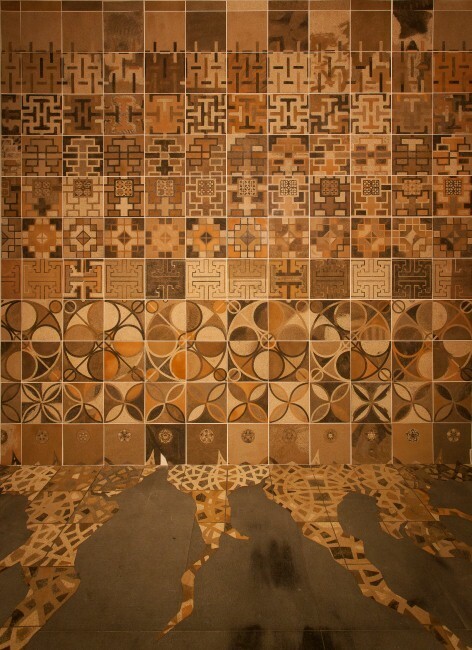 The work is inspired by floor tiles which were very popular in Israel during the last century. 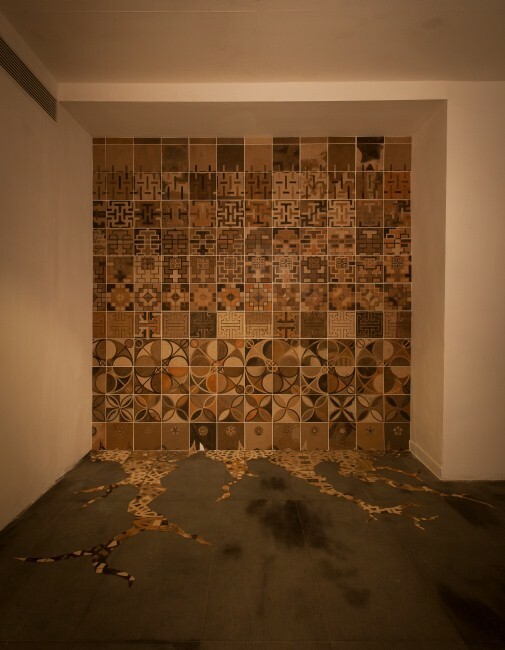 I aimed to create new patterns and original designs based on images of ornaments I have collected along the roads, train stations and streets of Taiwan in order to form a wall that seamlessly blends into the floor until it becomes one looking as in earth quakes cracks – a fear shared by the two countries as they are both located on a tectonic brake.